ATLANTA, Ga. – Collegiate Consulting recently completed a comprehensive benchmarking assessment and comparison for Indiana University Purdue University Fort Wayne. The review consisted of an assessment of IPFW’s intercollegiate athletics program in comparison with its current conference, peer institutions and aspirational peer institutions. Collegiate Consulting’s final report included financial analyses, salary and staffing benchmarking, scholarship/financial aid assessment, external revenue comparison and academics assessment, to illustrate several of the metrics from the study. Collegiate Consulting submitted its final report to IPFW in September. The project is a component of Director of Athletics Tommy Bell’s purpose to modify and review the intercollegiate athletics strategic plan and utilize the metrics from the benchmarking comparison to set goals and objectives for the next five years of Mastodon athletics. “This is the second project in the past four years we have completed for IPFW and we are thankful for the trust that Tommy and his staff have shown to allow us to be a part of the growth of the IPFW athletic program,” said Russell Wright, Managing Director of Collegiate Consulting. 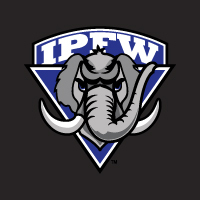 IPFW, a member of the Summit League, currently sponsors 16 intercollegiate teams, 9 for men and 10 for women. Men’s volleyball currently competes in the Midwestern Intercollegiate Volleyball Association. IPFW offers approximately 200 Indiana University and Purdue University degree and certificate programs. The Indiana/Purdue partnership that created IPFW sustains a tradition of excellence and serves as the foundation for IPFW’s role as the largest provider of university-level programs in the area. This unique partnership provides services and linkages that support IPFW’s efforts to develop distinctive programs and practices and achieve national recognition for responsiveness to emerging needs in northeast Indiana. Collegiate Consulting has worked with more than 300 institutions since its inception in 2005 is one of the leading consulting firms in the country that services the intercollegiate athletic marketplace.